DHARAN (7 September 2018) – Initiatives have begun for having Sunsari’s the historic Ramdhuni included in the Ramayan Circuit with Tourism Ministry of India coming up with the concept of linking up 15 different religious sites in the circuit. The Ramdhuni Baba Bankhandi temple trust management committee has started taking initiatives in that connection. The concept of Ramayan Circuit was brought by India with the objective of connecting the religious places in India, Nepal and Sri Lanka linked with the life and travels of the Hindu god Ram and his consort Sita during the TretaYuga. It was announced during Indian Prime Minister Narendra Modi’s visit to Janakpurdham in April that Janakpur of Nepal which is the birthplace of Janaki or Sita, would be linked to the religious tourism circuit. But nothing was mentioned about Ramdhuni. A delegation of the temple trust management committee under the leadership of the committee chairman Dilli Karki recently travelled to Lucknow, the capital of Uttar Pradesh state of India and submitted a memorandum to the Uttar Pradesh Chief Minister, Swami Aditya Nath. The memorandum calls for including Ramdhuni also in the Ramayan Circuit presenting a case for the same with various evidence and logic. The Embassy of India in Nepal and Mahantha Ramroshan Das, the heir apparent priest at the Janaki Temple in Janakpur, have also been informed of this initiative. Karki said that during their meeting with the Uttar Pradesh Chief Minister they informed him that the fire at the hearth at Ramdhuni that was believed to have been started during the Treta Yug was still burning and he was surprised to hear that. According to Karki, the Uttar Pradesh Chief Minister told the Nepalese delegation that his government would take the initiative to include Ramdhuni in the Ramayan Circuit if they got an official letter to this effect from the Government of Nepal. Karki added that they had, on behalf the committee, urged the Ramdhuni municipality, the Province-1 government, the Office of the Prime Minister and the Ministry of Tourism for their recommendation to include Ramdhuni in the Ramayan Circuit. Responding to this request, Joint Secretary at the Department of Tourism, Bharat Subedi, said that a study would be carried out by forming an experts’ team in this regard, Karki stated. It is mentioned in the Ramayana scriptures that lord Ram had lit the bonfire at Ramdhuni area during the period of his exile from home during the Treta Yug. India’s the Ministry of Tourism has prepared the concept paper of Ramayan Circuit which connects 15 various religious places in India, and the Indian Prime Minister had announced during his visit to Janakpur in April that Janakpur would also be included in that circuit. 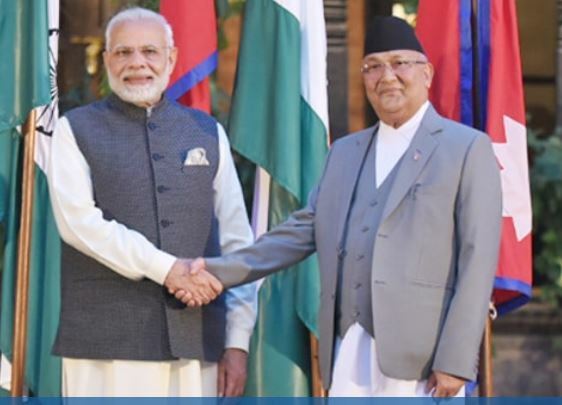 Nepal and India also signed a ‘twin city’ agreement during the Indian PM’s first official visit to Nepal in 2014 linking Janakpur and Ayodhya. Ayodhya is 650 kilometres from Janakpur. Ramdhuni is around 150 kilometres east of Janakpur. The Ramayana Circuit plan links Ayodhya, Shringawerpur and Chitrakut of Uttar Pradesh; Sitamadhi, Buxur and Darbhanga of Bihar; Chitrakoot of Madhya Pradesh; Nandigram of West Bengal; Mahendragiri of Odisha; Jagadalpur of Chhatisgarh; Bhadrachalam of Telengana, Rameshwaram of Tamilnadu; Humpi of Karnataka; Nasik of Maharashtra; and the religious sites in Nagpur. The Ramayana Circuit would be much more complete and meaningful if Ramdhuni and Janakpur of Nepal were also linked with these religious places of India, Ramdhuni Municipality-5 Ward Chair, Detraj Phuyal, observed.